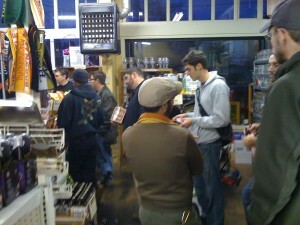 Great news for Portland beer fans, it’s time again for Deschutes Abyss Beer. If you somehow missed this gold medal winning Imperial Stout last year you absolutely do not want to make the same mistake again. Considered by many to be one of the top Oregon Stouts, The Abyss comes in a wax dripped bottle containing one of the deepest and most satisfying beers of it’s kind. At 11% alcohol by volume it’s one you’ll sip, savor and enjoy! 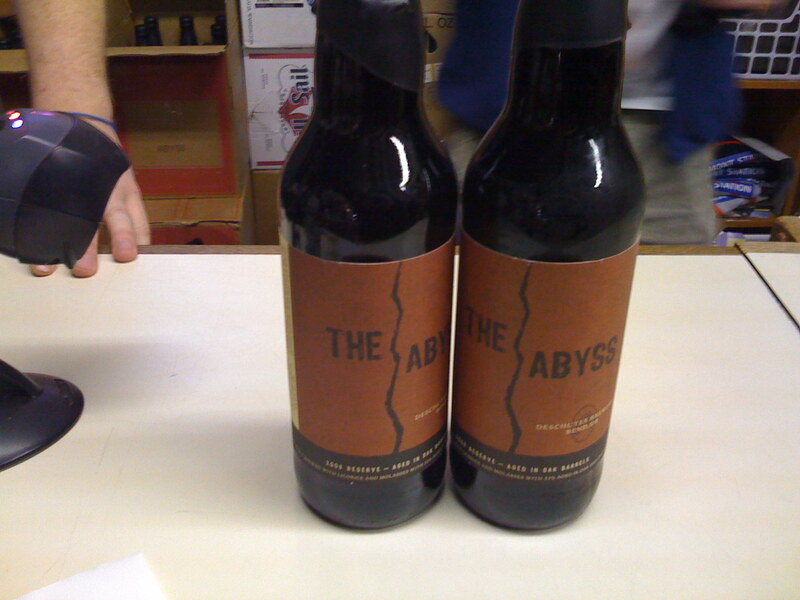 The Abyss beer is only available in limited quantities and it tends to sell out quickly. Belmont Station (one of my absolute favorite Portland beer stores) is going to be selling The Abyss starting at 5pm Tuesday November 18. They are limiting sales to just 2 bottles per person and they expect to run out fast. Belmont Station is located at 4500 SE Stark. The Deschutes Brew Pub (210 NW 11th) also has an extremely limited number of cases of the Abyss (and they expect to sell out of them by the end of today). Update: The Abyss is selling for $9.99 at Belmont Station and there was quite a line at 5:00.